These solo traveler gift ideas are just the tip of the iceberg when it comes to getting gifts for world travelers. 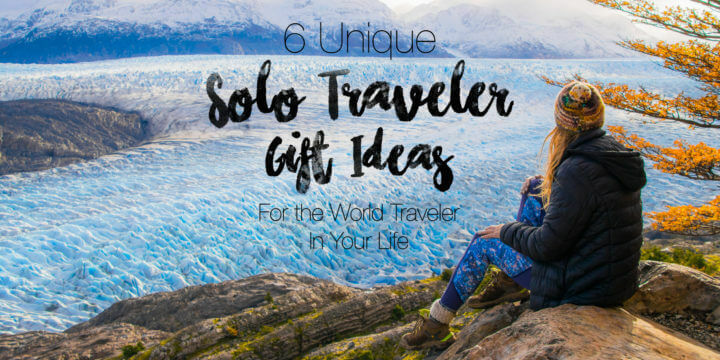 These five ideas are more tailored to solo travelers, but check out my 101 Gift Ideas for the Wanderlust Soul to see travel gifts for everyone! Solo travelers are an elusive and mysterious brand of human who may indeed be quite difficult to purchase for. 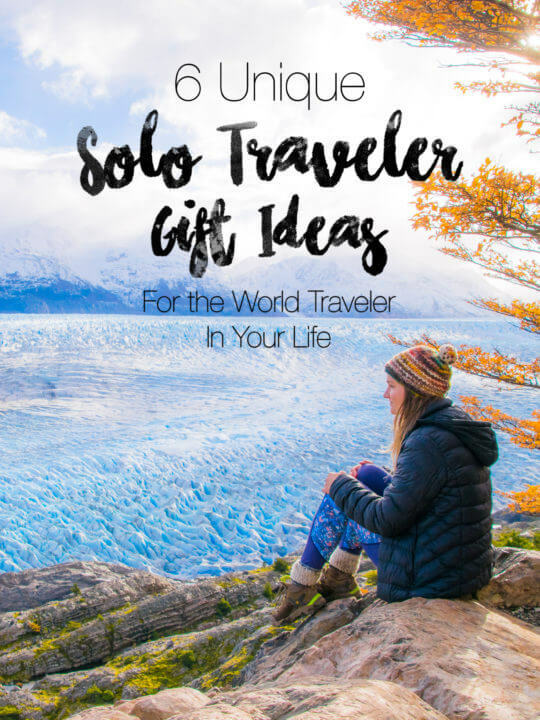 But luckily, as I am one myself, I will be spilling the beans on some unique gift ideas for the solo traveler(s) in your life that they will no doubt love! These ideas will help the solo traveler stay entertained, connected, or achieving the most daring adventures around the world year-round. I bet there are at least a few that will give you that a-ha moment… so keep reading! Ok, this is an absolute shoe-in for solo traveler gifts. 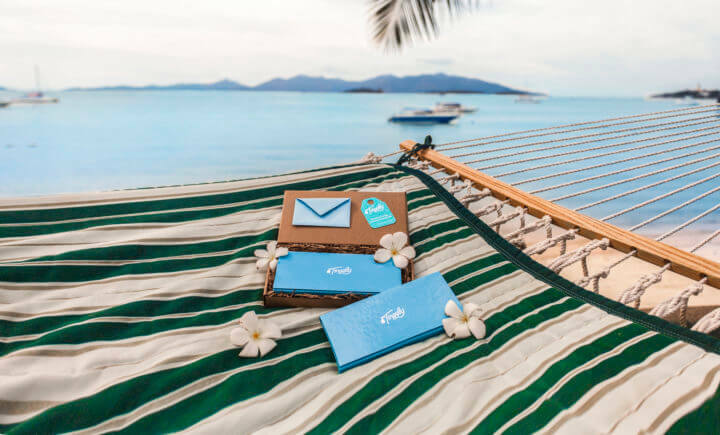 If the solo traveler in your life is adventurous (and let’s be real – if they are a solo traveler it comes with the territory), they will LOVE a gift card to Tinggly. Let me explain. GET YOUR TINGGLY EXPERIENCE HERE! This Sandmarc pole allows you to take the most epic selfies possible, as it extends to over a meter in length but can also fit comfortably in most backpacks. Having a Go Pro pole enables you to use the fish eye on a Go Pro to get your whole body and surroundings into a shot – by yourself! You can capture yourself and any awesome place without awkwardly asking any tourist to take the photo for you. my Sandmarc pole has been my personal photographer for years! Since they are alone, sometimes it’s nice for a solo traveler to have some travel advice and tips right on hand. It’s also nice to have some light reading to do on planes, busses, and trains, and it’s never a bad idea to learn a bit more about the place they’re traveling! These are great gifts for solo travelers or gifts for backpackers in general. Or, View ALL Lonely Planet Guide Books to see which fits your solo traveler the best! Seriously, they have hundreds. Sometimes all a solo traveler needs is to take some time, slow down the travel, and really get to know a place. Sometimes fast-paced travel gets quite tiresome, and there’s no substitute for staying longer in one place and really getting to know it. 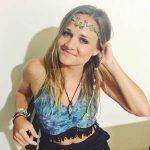 This is why a membership at Trusted Housesitters could be the perfect solo traveler gift idea for the world traveler in your life. Housesitting involves watching someone’s home for them while they are away, and oftentimes caring for their pets as well. Housesitting could make for the perfect little getaway from home, or also a much-needed break from fast-paced travel. Either way, living temporarily in someone’s home is a great way to get a real local feel for a destination. Solo Travelers may enjoy being alone, but they also love to be connected! Wifi is super important while you are traveling, and what better way to stay connected than to take the wifi with you wherever you go?! There’s no better way, that’s how. Tep wireless’s Teppy device provides travelers with wifi at their fingertips anywhere they go, by connecting to partner cellular networks all over the world. So even if wifi is bad in a certain place or if you’re out in the middle of nowhere, this solo traveler gift idea can provide a connection as long as there’s cellular service there. Pretty amazing, if you ask me – especially for loved ones who want to be able to be in contact with the one on the road! An Amazon gift card is still very thoughtful and generous because you can get absolutely anything on Amazon these days. This gives you the opportunity to fund what they want the most, whether that be a camera, new backpack, or other travel gear. Not sold on the gift card idea? Here are a few other ideas that any solo traveler would love. Below is my dream camera, my favorite pair of headphones (a necessity for any traveler!) and my favorite and most reliable brand of backpack. Trust me, these are all great solo traveler gift ideas (of varying budgets, too)! Enjoyed reading this? Pin it to Pinterest! Thanks to Tinggly for sponsoring an adventure in exchange for this post. All words are my own as always and I still think it’s the raddest gift out there! Well that’s really impressive. I wish I traveled more when I was single but I love to travel with my husband. It’s completely respectable either way – I would love to have a companion to travel with but it’s not my time quite yet 😉 enjoy your travels! Some great ideas, I love the travel gift card idea! Hmmmm it’s my birthday soon! hahaha some inspo, just in time! Some great ideas! The Tinggly Experience and the housesitter membership are my favourites. thank you! Definitely adventurous gift choices!